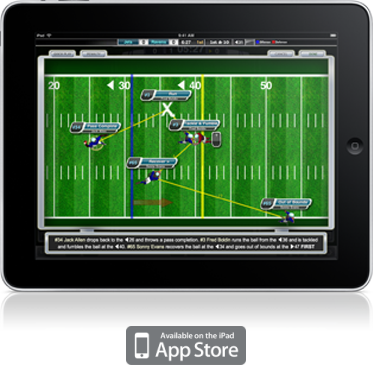 Revolutionary Visual Scorekeeping -- Select the type of play (Run, Pass, Kick, etc) and then simply drag the players to the correct spot on the field. Player actions can be easily modified by tapping the player. Partial play entry -- not sure who was involved in a play? Just enter what you see and you can fill in the rest later. iScorecast - Watch games live (requires Internet while scoring, no Video), or a replay of the game later. Great for parents, family, or friends that can't make it to the game but want to keep up with the action. 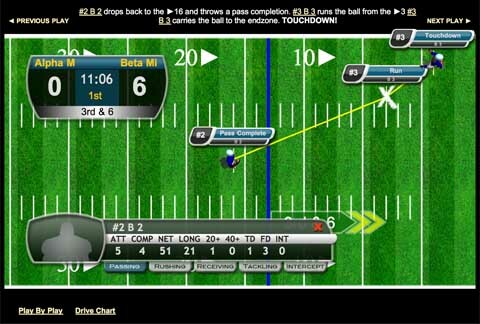 Scorecasts can be viewed from any device by going to http://football.iscorecast.com and typing in the scorekeeper's customer ID.